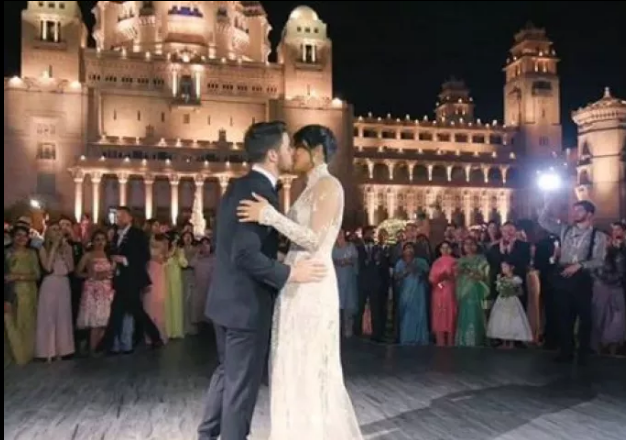 Priyanka Chopra and Nick Jonas are now official husband and wife after they tied the nuptial knot in Jodhpur’s Umaid Bhawan. Their wedding was organised just like an event in which there was a cricket match between the groom and bride’s family. Also, during the sangeet, there was a stage performance done by both side family members. 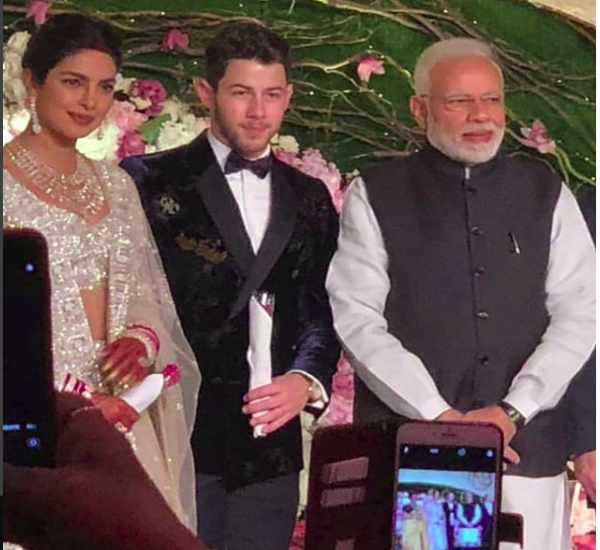 After the grand wedding, the newly-wed couple has hosted the reception Delhi. However, there were the expectations that Prime Minister Narendra Modi likely to attend the grand wedding. He made rumours to real by attending the reception of the desi girl. 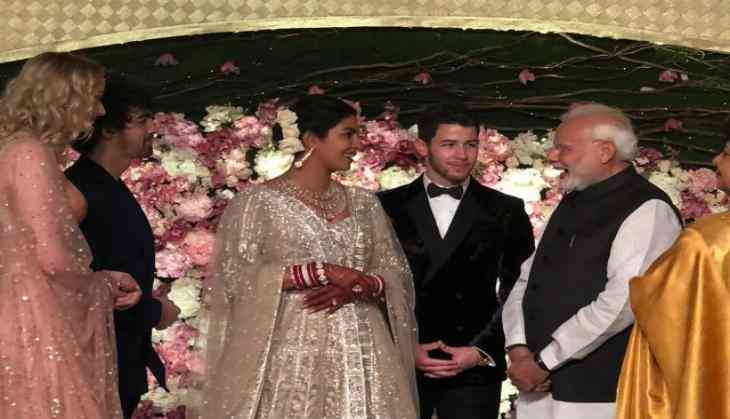 PM Modi blessed the couple and also sharing a laugh with the couple. Amazingly! PM Modi also gave two roses for the newlywed couple. Earlier, he had also given the roses when he attended the wedding of Virat Kohli and Anushka Sharma last year. 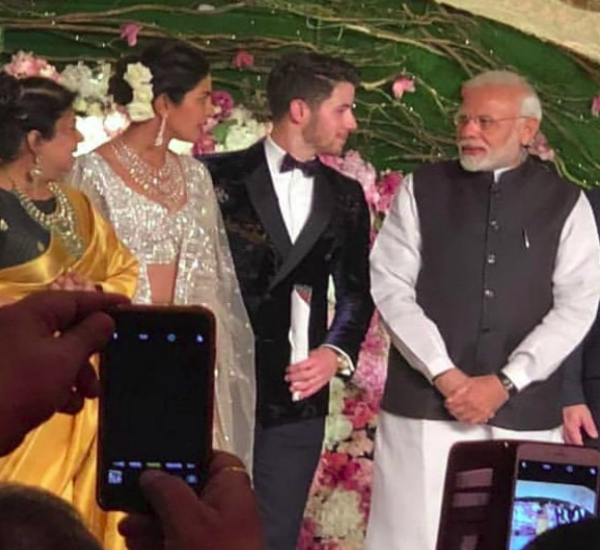 Meanwhile, Priyanka Chopra was looking super splendid in her beige and white lehnga while Nick looked handsome at their reception party in Delhi. The wedding bells of Prick was started ringing from 29th November in Jodhpur’s Umaid Bhawan. Our ‘desi girl’ exchanged the marital vows with the ‘villayati munda’ by respecting each other traditions. On 1st December, they married in a Christian wedding ceremony while on 2nd December, they tied in nuptial knot as per the Hindu wedding ceremony.